We are counting down the days til warmer weather, flowers, green grass, bugs! Waiting for any sign that Spring has arrived! We’ve created two new kits that bring Spring indoors to help your little ones wait out those rainy days! A Spring Garden kit and a Creepy Crawly Bug kit. Each just $30. Order today by emailing us at EventsbyPnC@gmail.com! Conversation or chocolate play dough hearts will bring a smile to all of your child’s friends’ faces this Valentine’s Day! We are also offering surprise inside play dough balls and jars! Order from our Sweet Treats line, Unicorn & Dino or Wild Animals. Our box of play dough chocolates is the perfect gift for all of your little sweethearts this Valentine’s Day! 💝 It includes 1 cup of our favorite chocolate play dough, 1/3 cup of berry play dough, 8 paper cups, 4 toothpick hearts, 8 heart gems, 3 wooden die-cut hearts and one heart cookie cutter. All packaged neatly in a sealable heart container. $12, order today! Thank you so much & Happy New Year! We hope everyone had a wonderful holiday season! Thank you for your incredible support this year! Please feel free to post pictures of your kiddos’ play dough creations on our facebook page, www.facebook.com/parchmentandcrepe. We can’t wait to see! 😁 Happiest New Year wishes! Don’t forget to contact us @ EventsbyPnC@gmail.com for all gift-giving and party favor needs in the coming year! Contact us for details and to order yours today! 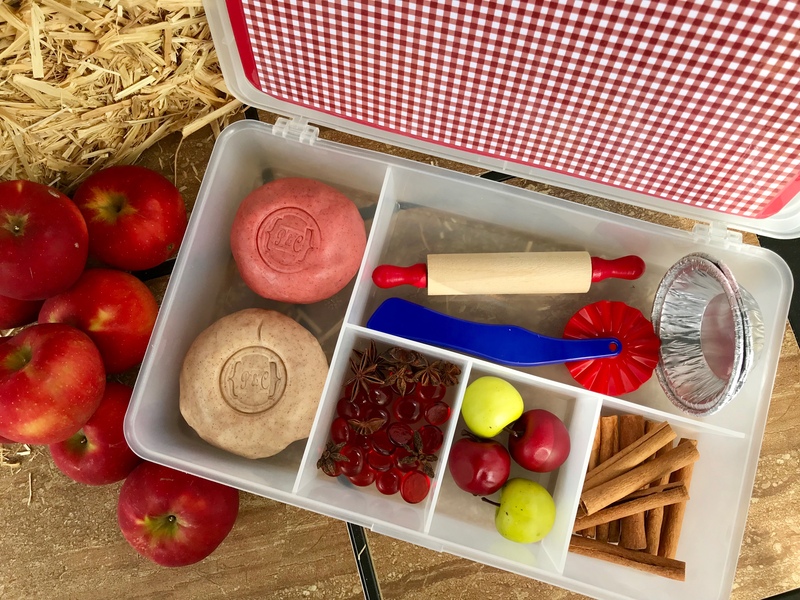 Introducing our Apple Pie play dough kit! Ever classic apple pie becomes an ever favorite play dough kit for your kiddos. A portable and durable container, complete with gingham play mat, is chalk full of everything your kiddo needs to make apple pies all day. Our hand-made, real cinnamon spiced play dough and apple pie spiced play dough await to be molded into crust and pie filling. Two pie containers, a rolling pin, a rotary cutter, 4 faux apples, star anise spice, red glass beads for pizazz, and lastly, top your pie off with a stick or two of cinnamon. All this for just $25. Email us @ EventsbyPnC@gmail.com, to order today! This is play dough! Can you believe it? 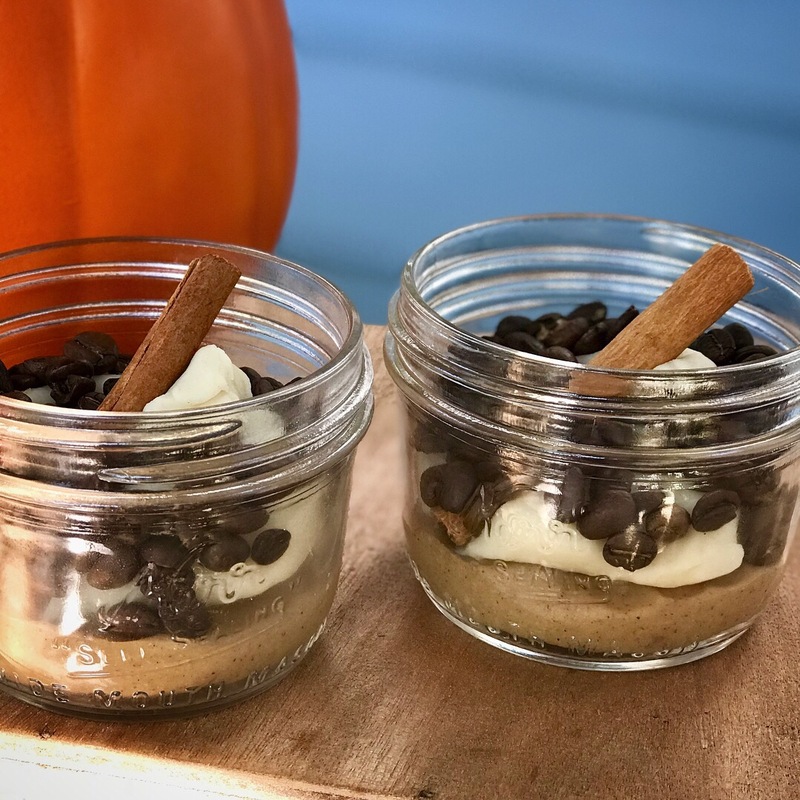 Inside these jars your child will be delighted to find real pumpkin spiced playdough topped with a vanilla playdough swirl then sprinkled with real espresso beans and a cinnamon stick. 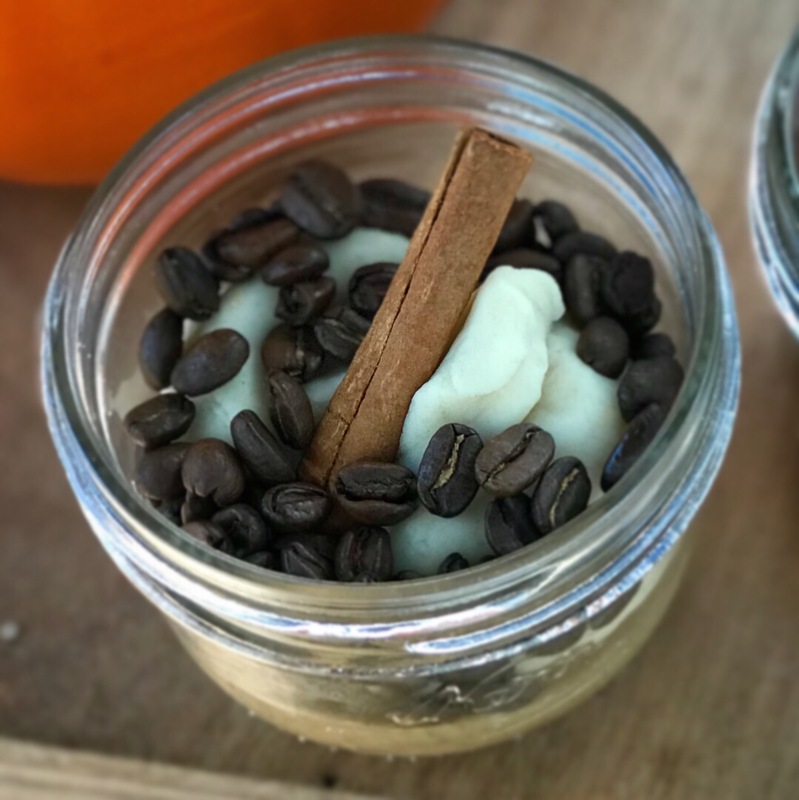 There are so many ways for your child to play with this PSL jar… he/she can pretend to make you your favorite Fall drink or count coffee beans, stamp the cinnamon stick to create lovely patterns and practice fine motor skills all while enjoying the scents of real pumpkin spice, pure vanilla, espresso and cinnamon. 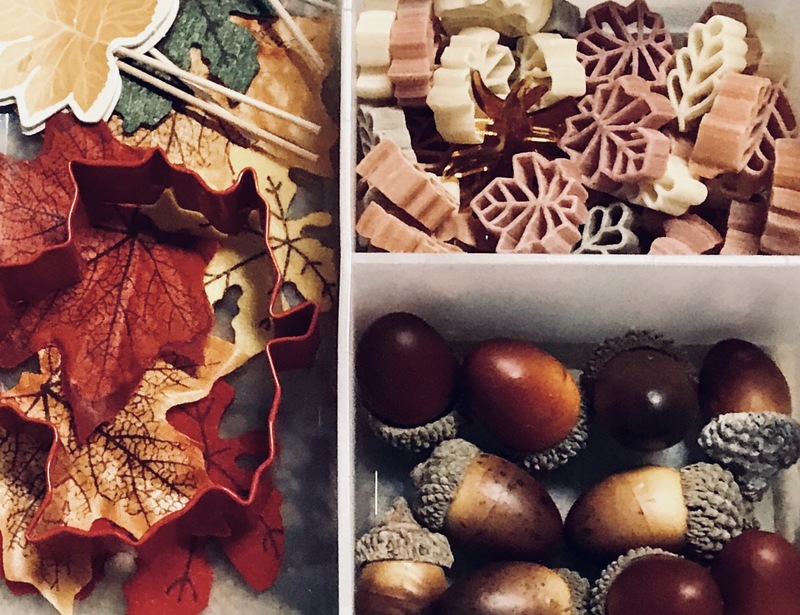 Exciting new gifts available from Parchment & Crepe this Fall season! Preview time! Drumroll please! We are making Fall and Halloween themed play-dough kits. Each kit is handmade and curated to offer your child a play time full of sensorial experiences, fine motor practice and creative thinking outside of the box! Along with our deluxe kit option, we will have small and large jar versions. Each option comes with a coordinating play mat. 🍂☕️🍂❤️Our favorite deluxe kit is the PSL aka Pumpkin Spice Latte which includes a metal mug and saucer, real cinnamon sticks, organic espresso beans, small whisk, spoon, pretend “caramel” drizzle (yarn), and last, but not least, PSL play-dough and vanilla play dough for the whipped topping. It’s all neatly packaged in a durable plastic container that closes. This kit’s play mat is 7”x11” and has a cute sweater print.